Do you really want to buy an excellent mountain bike? Do you want to get the ride of your choice? Then you need to know the essentials and guidelines on how to make a good purchase. Whether you want a commuters to work ride or a mountain bike that you can use in the entry-level downhill, you have to be well conversant with the dummies guide to choosing mountain bikes. In the following discussion we are going to look at some of the dummies guidelines that can help you getting an excellent mountain bike. Choose the bike that suits the terrain you intend to ride. There are a variety of mountain bikes that are available and you must know exactly what you want in as much as mountain bikes are concerned. There are the rigid mountain bikes which have no suspension, the hardtail mountain bikes which have a suspension fork on the front and finally the full suspension mountain bike which has both the front and the rear shock absorbers. As a cyclist you must be able to choose amongst the existing bikes by considering the terrain in which we intend to ride. Decide on the available budget. Usually there are different kinds of mountain bikes which differ in price depending on their weight. For example you can find a light weight mountain bike with aluminum frame costing less than $1000. As the price of the bike goes high, the weight goes down. Additionally, remember that when you buy a bike, it is accompanied things such as helmet, gloves and importantly the wicking cycling apparel. Therefore, you must knowing your budget in terms of the amount you want to spend in the mountain bike before going to the market to look for one. Consider your local bike shop area where you want to trade. Different shops have different offers and sell different qualities of bikes in a much as warrant and model of the bikes are concerned. Before you buy ride consider the dummies guide in getting a mountain bikes under budget in as much as the warrant given by that particular shop and quality bikes that being sold on that particular shop. Good shops give a warranty of more than one year and they usually sell quality bikes from renowned manufacturers. Normally the material of the frame dictate the price at which a mountain bike should be sold. There are a number of materials that are used to manufacture the frames- aluminum, titanium, steel or carbon. Each of the above materials has its drawbacks and disadvantages. For example steel tends to be affordable in comparison with aluminum but it’s heavier therefore making the rides stiffer. On the other hand titanium is relatively lighter and more resistive to corrosion but it’s usually very expensive. Therefore you should consider the kind of frame you want by comparing all the available materials and choosing the one that suits your needs. what comes to mind first when you are choosing a bike for your children? Safety and comfort come first. You have to be careful when you are choosing a kids mountain bike. There a plenty option for you in 2018 market. I recommend a lightweight and cool looking bicycle for the kids. A lightweight bike will help your kids to ride the bike comfortably. Which wheel size do you want? The Recent mountain bikes under 500 dollar comes with a variety of sizes. The modern bikes come with wheels that are 26in, 27.5in and 29in. These are three different wheels and they each have their drawbacks and advantages. Larger wheels are known to be having more weight but importantly, they roll over bigger obstacles and usually provide relatively greater stability. On the other hand smaller wheels are known to be more agile and lighter. There consider the place where you will want to ride your bike and the height and then relate it to the type of wheel that you will need. Finally, I can suggest you look customer reviews of a bike before getting it. Customer reviews will give you the real idea on this bike. Thanks for reading this entire article with the patient. 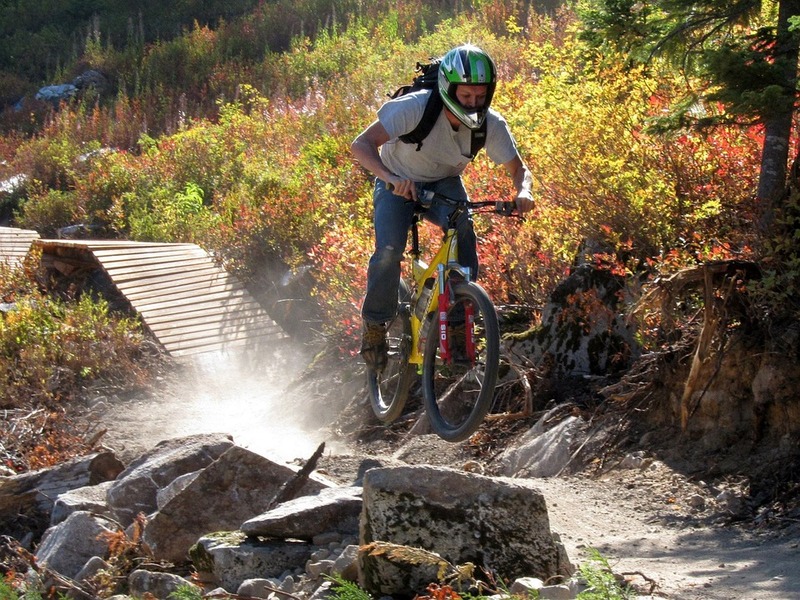 Feel free to share your thought on choosing a mountain bike for a newbie. smithjr0051 is using Hatena Blog. Would you like to try it too?